Paying it Forward 2016 was supposed to be in Feburary 2016, in Myanmar but due to a complete oversight and lack of planning on my part, I was deported on arrival due to having the incorrect visa. #lessonlearned #whoops What to do instead? Well, Talofa (hallo) Samoa! Yes, this awesome country was again the recipient of my annual Giving Back pledge. On the back of a Conference Keynote and 3 days of workshops, I added a fourth, complimentary day of workshops for all and any teachers or principals who wanted to attend, on Demystifying English Grammar and Tenses. I was pleasantly surprised to see 80+ teaching staff turn up, during their holidays, to nut out the complexities of the English language and walk away with over AU$200 in donated resources and prizes. The Samoan people are an absolute hoot to work with, and this day was no exception. Faafetai (thank you) Samoa, for a phenomenal week – and I hope to be working with you again in the future! all the women proudly wear brightly coloured flowers in their hair and men are totally comfortable wearing gorgeous chunky necklaces and long skirts. Fancy helping out with future Paying It Forward trips? The Small Business Wisdom Course in my Library, is 100% dedicated to Giving Back. Every dollar spent on this course goes towards purchasing resources for the next Paying it Forward trip. This year was only a few hundred dollars, as the Library is still in the throes of launching, but next year I’m hoping that figure will be a little more generous. Help out, and get some savvy business advice while you’re at it. 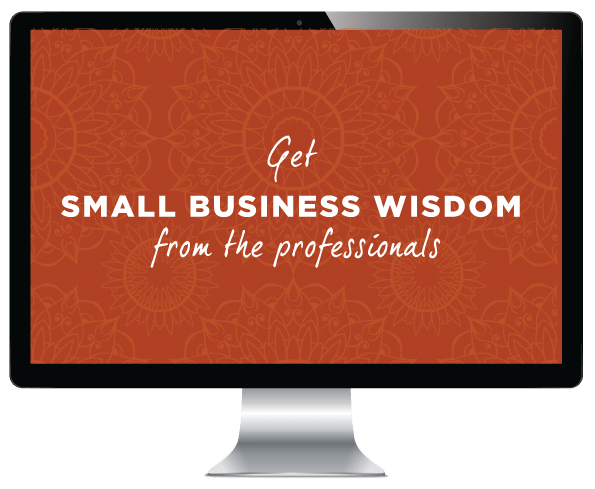 The Small Business Wisdom Course is a collection of workshops and interviews donated by other savvy professionals who are in small business and have knowledge to share for anyone starting out. create a beta (or pilot) round of your offerings so you KNOW you’ve got a product that works, before you invest time, effort and money creating the rolls royce version.